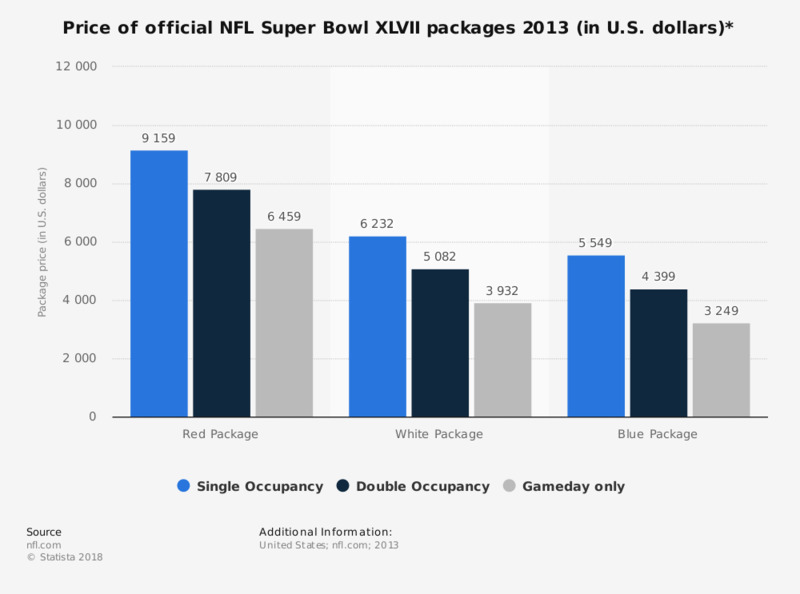 The statistic shows average prices of official NFL Super Bowl XLVII packages. The least expensive gameday only package costs 3,249 U.S. dollars on average. * Averages were calculated from the given subcategories in the red, whte and bllue packages. All pricing is per person, 4-night stay (1.31.2013 - 2.4.2013): Single (1 guest, 1 room), Double (2 guests, 1 room), Gameday (does not include hotel). Each package includes ticket to the game (varying seating categories), accomodation and varying hospitality services and amenities. Which of the following best describes where you typically watch the Super Bowl?